During the summer months many people in the desert areas of Tuscon and Phoenix head to the higher elevations to escape the heat. While camping is a great way to enjoy family time without spending a fortune on plane fare, water parks and eating out in restaurants, there are also hazards. One of those is bears. 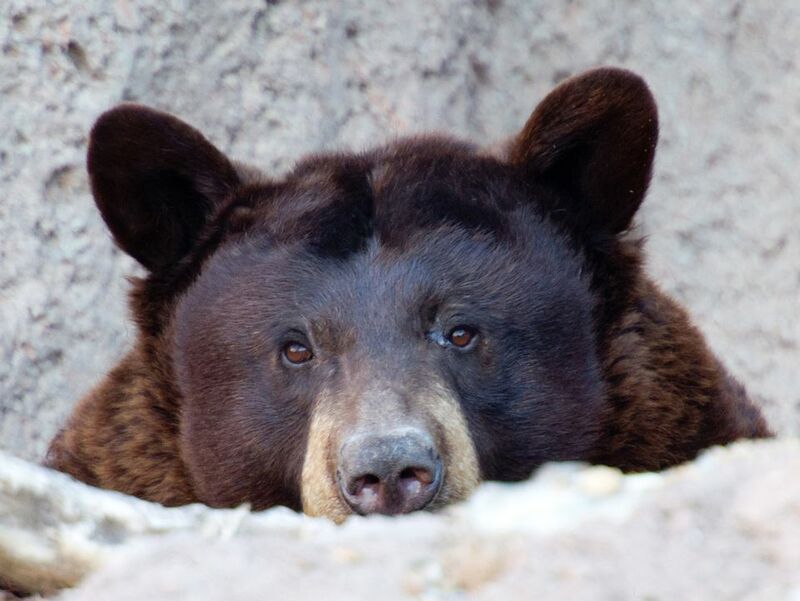 In the summer in Arizona bear activity increases as young bears leave their mothers and begin roaming in search of food sources and to establish their own territories. Bears have a keen sense of smell and can be drawn to food in campgrounds. The black bear (Ursus americanus) is the only bear species still found in Arizona. It is a small bear and lives in forest, woodland and chaparral habitats, as well as in desert riparian areas. Black bears are capable of killing or seriously injuring humans. These tips for Arizona campers are offered by the Arizona Game and Fish Department. Do not cook in your tent or sleeping area. Store all food, toiletries and other scented items well away from sleeping areas and unavailable to bears. Wash up, change clothing, and remove all scented articles before retiring to your sleeping area. Walk or jog in groups. Pay attention to your surroundings when hiking, jogging or bicycling. Supervise your children and keep them in sight. Keep your pets on a leash; don’t allow them to roam free. Or better yet, leave them at home if you can. Pets can easily get into conflicts with a wide range of wildlife. If you are confronted by a black bear, don’t run. Stay calm, continue facing it, and slowly back away. Try to make yourself look as big and imposing as possible; put young children on your shoulders. Speak or yell and let it know you are human. Make loud noises by clanging pans, using air horns, or use whatever is available. If you encounter a bear in a developed campground, notify the campground host. If you have a problem with a scavenging bear in the forest, notify the Arizona Game and Fish Department.